Mark Peterson explains how he "lives Redy"
I am really busy! I do my best to live a healthy life style, while working out, enjoying nature and enjoying my family. 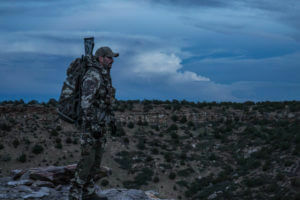 Since I was young, I have been active in the out-of-doors and I know to get the most out of my hiking and hunting, I need to be active and in good shape. Now that I am using Redy Nutrients, I am living the “Live Redy Lifestyle”. Working out, eating correctly and the Redy Lifestyle prepares me for anything that life can throw my way. I can take part in real, active experiences instead of watching them on TV. 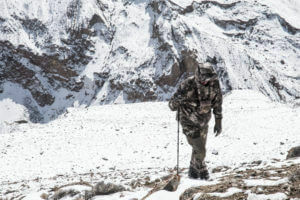 I can climb the Karakoram Mountains in Pakistan seeking the elusive Blue Sheep. I can hike across the Alaska and Canadian Arctic in search of bear. 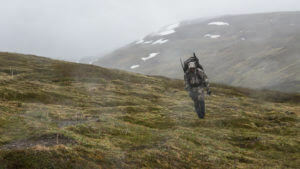 I know that if I want to hunt to my full potential, it requires that I am in great shape. And, for me that does not happen without my daily regimen of exercise and eating healthy. Redy Nutrients has helped me push my body farther and decrease my recovery times. I hunt to be closer to nature. I don’t want to watch this on TV; I want to live it. I want to walk up to a Cape buffalo and stare him in the face. I want to know that I am physically able to face any dangers encountered while hunting, and win. I can’t do that if I am not in great shape. I can’t do that unless I am living the Redy Lifestyle. Let me be honest. I would rather be in great shape and able to scale mountains with ease, without spending hours in the gym every day. But, I know that it won’t happen because when I go to scale that mountain, my body needs to be in peak shape. Peak shape to me means my good regimen of exercises, a healthy diet and the support that Redy Nutrients gives me. And, I work out and use Redy not only so that I can do anything and everything in the field today, but so that as I age, I will keep myself in the best possible condition to continue my active Redy Lifestyle. One of the passions in my life is teaching my children all of the traditional outdoor skills. I can also see now that my children will have my passion for the out-of-doors. I want to remain in great shape so that I can be an active part of their life, and their children’s lives, as we all age. By living the Redy Lifestyle today, I am a role model for my children. I can’t imagine anything worse than not giving my children a good role model for their future. No supplement does it for you. I tried others in the past, but when I found Redy, I found what I had been seeking. I am an active, take charge sort of guy. I don’t want to be standing at the bottom looking up the mountain. I want to be at the top, looking down. It is the combo of my exercise program, a healthy diet and Redy Nutrients that does it for me. I am living the Redy Lifestyle and I am in the best shape of my life. I am mentally and physically prepared for anything that life can throw at me.